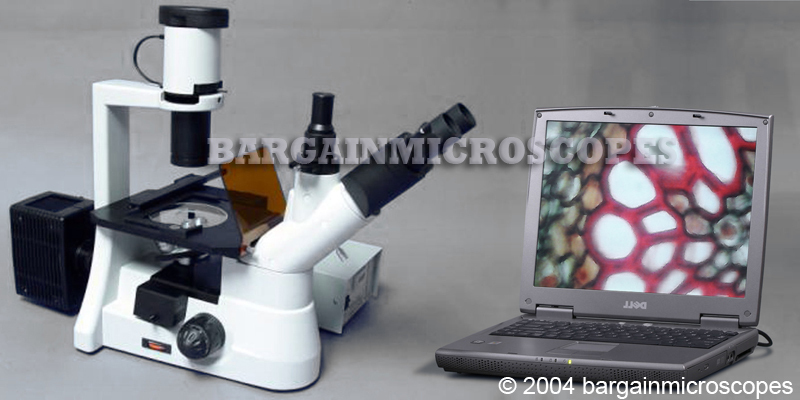 High Grade Epi-Fluorescence Trinocular Inverted Tissue Culture Microscope! 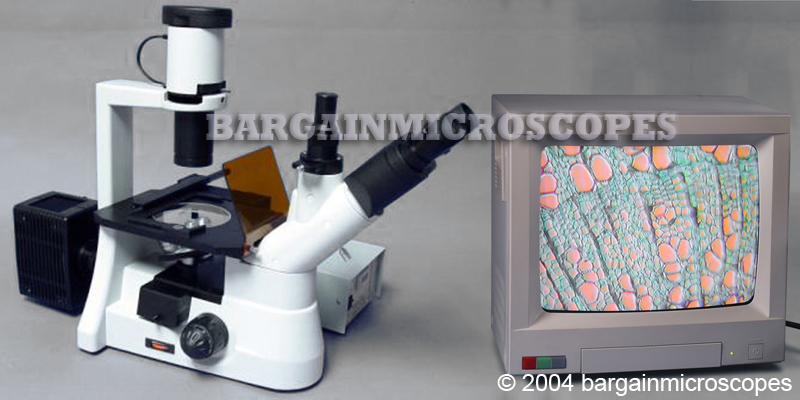 Microscopy Techniques Included: Incident Light Fluorescence Excitation, Phase Contrast Illumination, Brightfield Transmitted Light. 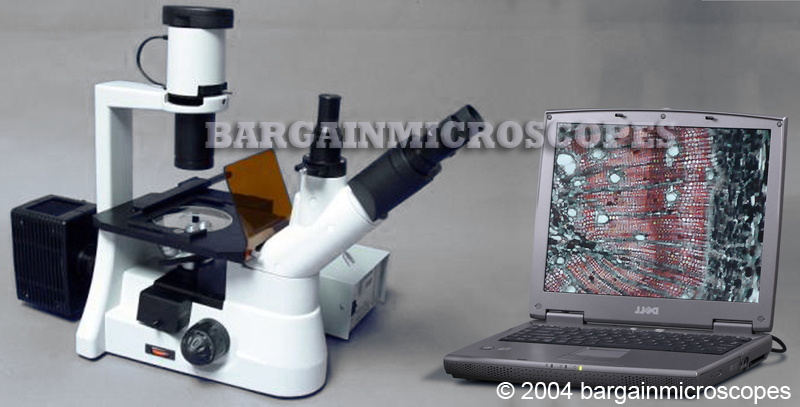 Looking for an Inverted Fluorescence Microscope? 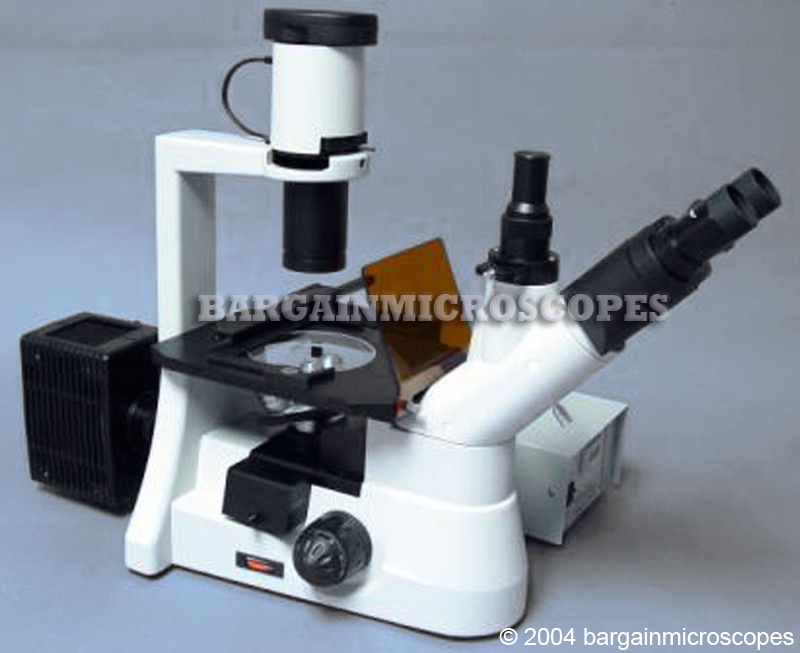 This is a high grade system, capable of excellent quality imaging. A Clear and High Contrast Epi-Fluorescence Image is produced with the incident light excitation from the Mercury bulb. 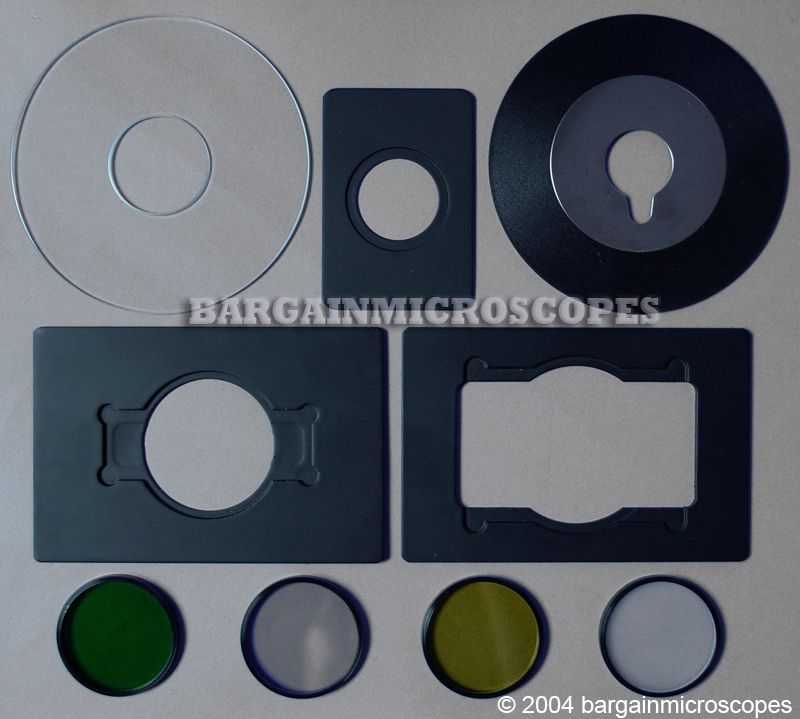 High grade optics with great quality imaging. 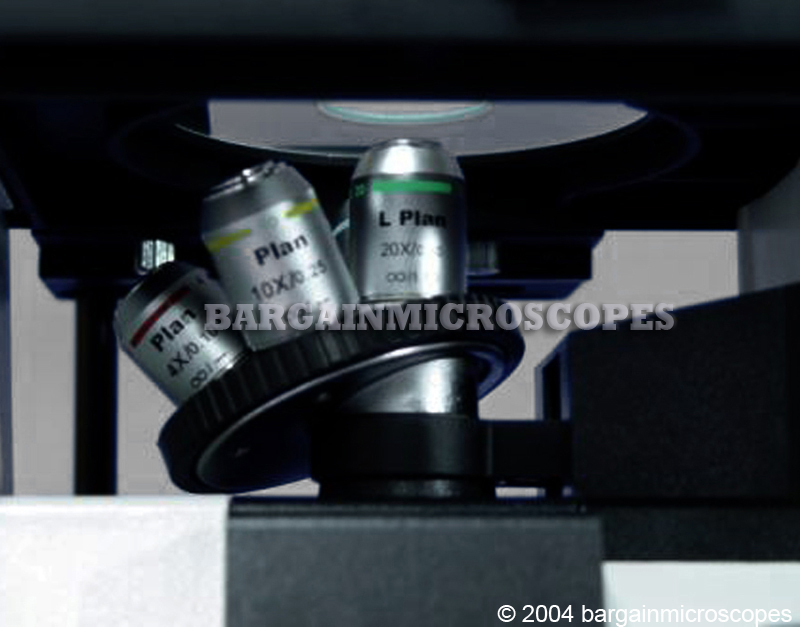 Cell culture microscope with inverted objectives. 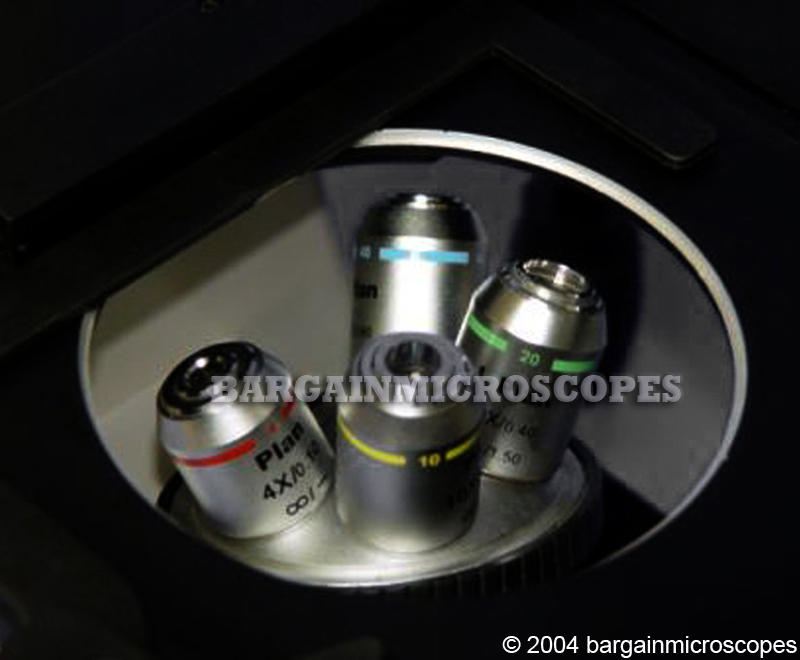 Four Fluorescence (and Brightfield Transmitted Light) Magnifications: 40x, 100x, 200x, and 400x. 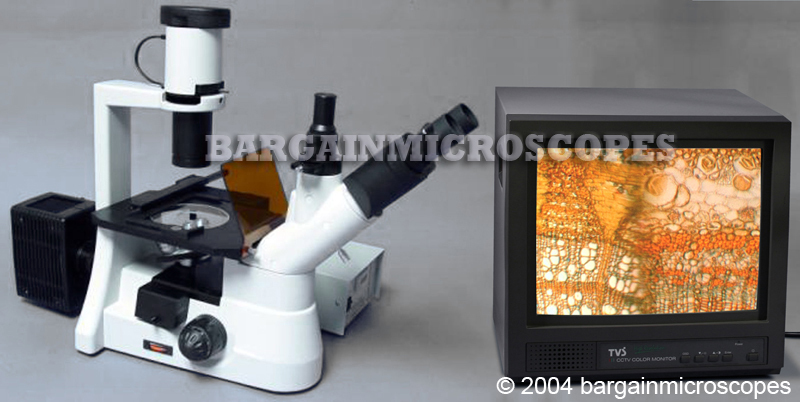 Fluorescence Microscopy Illumination system with two dichroic fluorescence filters (blue and green). The fluorescence filter cubes are mounted on a slider bar assembly so either can be easily selected. 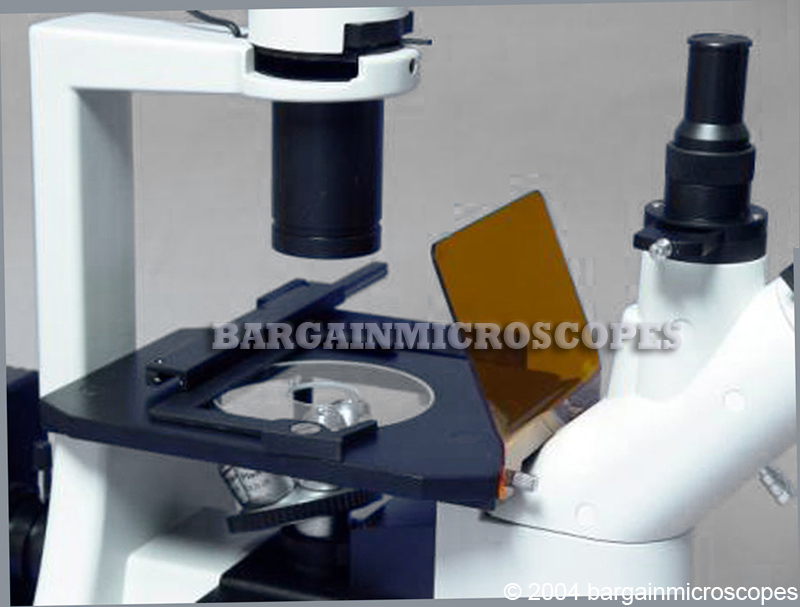 It can be set to middle position with no filter cube for brightfield microscopy. Note: If no image is obtained, or image is only partial, be sure slider bar is not partially seated between settings. For brightfield, no image will be obtained if fluorescence filter cube is in light path. Includes: Extra Mercury Bulb (for fluorescence observation). 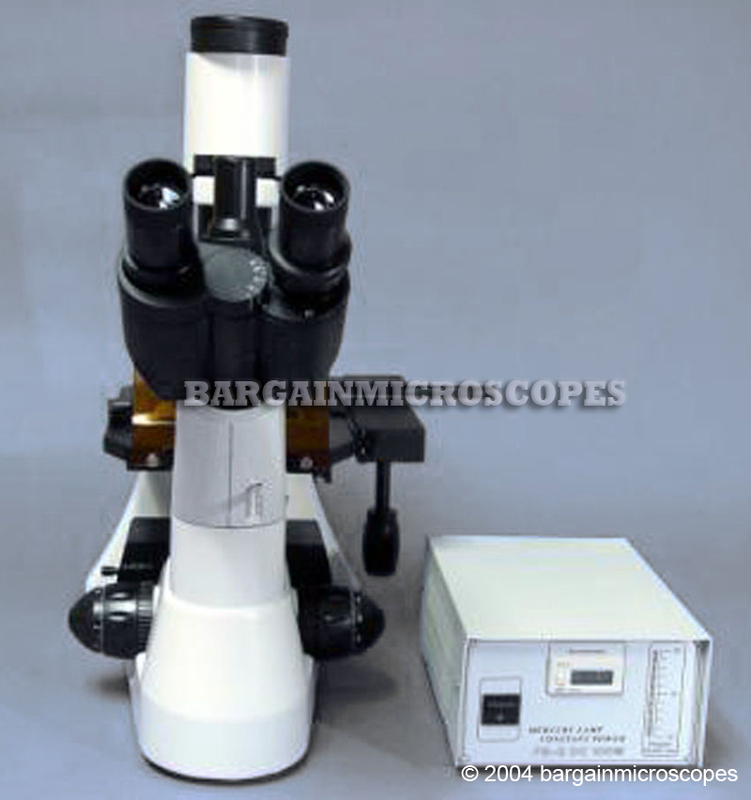 Includes standard phototube and 1x cmount for attaching ccd camera.